Calling Rufus a big boy would be putting it lightly. Mr. Large-and-in-Charge is livid that Ken Masters is being paraded around as America's greatest fighter when he is obvious better…at least that's what he thinks. Rufus is determined to challenge Ken and prove just who is the best in America, but his eagerness gets away with him and he often mistakes other fighters for his supposed rival. 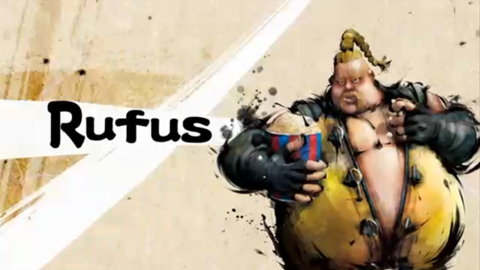 With his own interesting form of kung fu that makes the most of his portly stature, judging Rufus on his appearance might be the last mistake you make. / / LK for mid, MK for low, HK for High;After Messiah Kick; LK has Armor Break ability. / / After Messiah Kick; LK for mid, MK for low, HK for High; LK has Armor Break ability. This page was last edited on 15 December 2009, at 04:22.